There is a difference between a job and a career. And there is a difference between job hunting and career planning. After four years of college, it is likely you will want your son or daughter to pursue a career instead of just a job. And it is likely you will not be pleased if they land a job they could have otherwise obtained right out of high school. We have outlined eight points for Parents whose children are attending college. Career Counselling will help your child understand his skills and aptitude and point them in the right career choice. Your son or daughter needs to be proactive, plan ahead, and begin early establishing a relationship with his or her college career counsellor. A career is too important to be tended to only under desperation circumstances and in a state of panic. It is not wise to solicit help from the career counsellor on short notice. It is not advisable that your son or daughter wait until the last minute to address any component of their career planning or job search process. Career planning is a process, not a one-time act. It is multifaceted and progressive. To be successful in their career pursuit, your son or daughter will need to understand that important things in life take time and require planning. One visit to the career counsellor will not solve all their problems, nor will it equip them with everything they need to be effective in the attainment of their career goals. A degree alone will not guarantee a lucrative career upon graduation. In order to be a serious candidate in today's competitive job market, your son or daughter will need to extend their education beyond the classroom and expand their experience beyond the degree. Encourage your son or daughter to get involved in extracurricular activities, relevant clubs, and internships that can provide opportunities to gain experience before graduation. The more goal-oriented your son or daughter is, the more likely they are to obtain career success. Once your son or daughter explores their range of career options, they should be encouraged to set realistic and attainable career goals. Without some notion of where they want to go and what they want to do, your son or daughter will lack the sense of focus and direction necessary for career success. Choosing their career goal before they choose their academic major is oftentimes more advisable. To ensure they are adequately prepared and fully equipped, your son or daughter will need to take full advantage of the services offered and actively participate in the various programs, events and activities sponsored by the career counsellors. Your son or daughter's attendance at career workshops, career fairs, information sessions, and other career-related events provides them the tools necessary to effectively manage their career. It is time for your son or daughter to begin thinking and acting like a professional. If they intend to pursue a serious career, it will be necessary for them to devote adequate time and energy to such critical details as professional attire, professional behavior and attitude, etiquette, employer expectations, workplace culture, networking techniques, prospecting techniques, negotiation techniques, job market research methods, job search strategies, interview preparation, and resume writing skills. Too often, young candidates head out into the job market with no training in any of these important areas, and it shows. Your son or daughter will need to take responsibility for their own career planning and job search efforts. 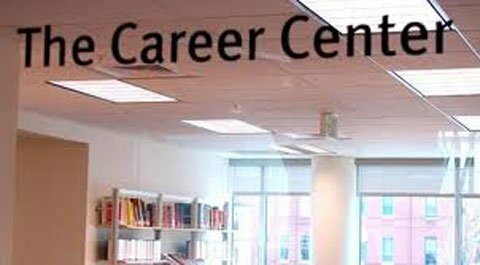 It is not the role of the campus career counsellor to find a job for your son or daughter. More often than not, the career counsellor will focus on teaching job search skills rather than actually placing your son or daughter in a job. While many job openings will be posted through the career counsellor office, and many interviews will be available through the career counsellor's office the majority of opportunities that await your son or daughter will be the ones they discover through the comprehensive career planning and job search process taught by the career counsellor. Read further on career choices and careers in advertising designing here.